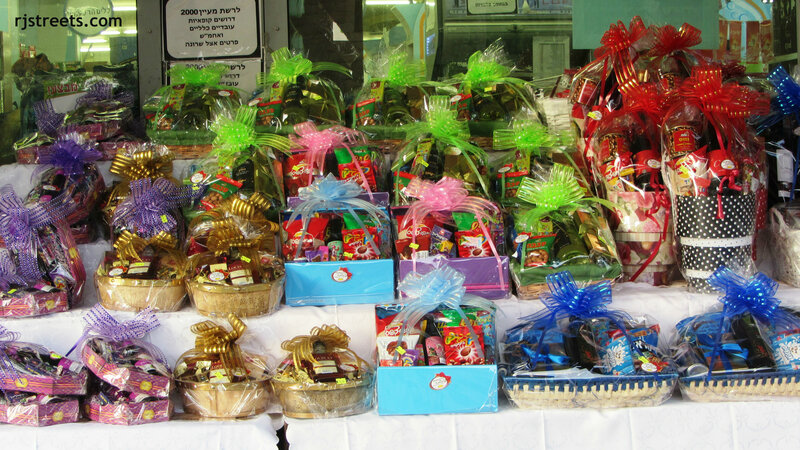 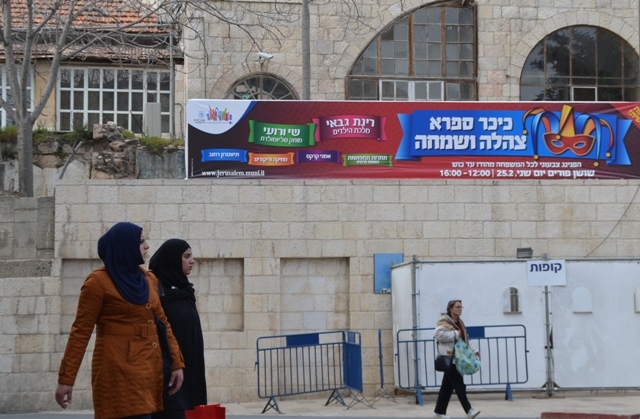 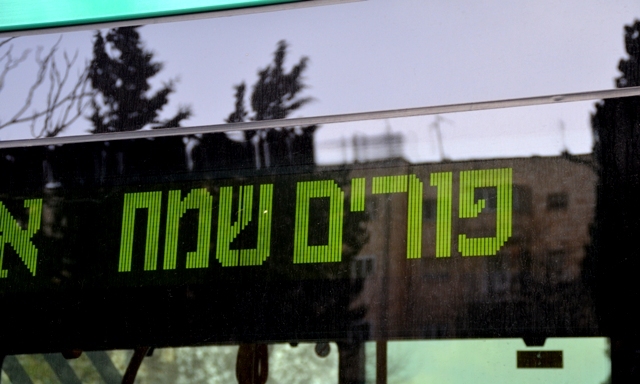 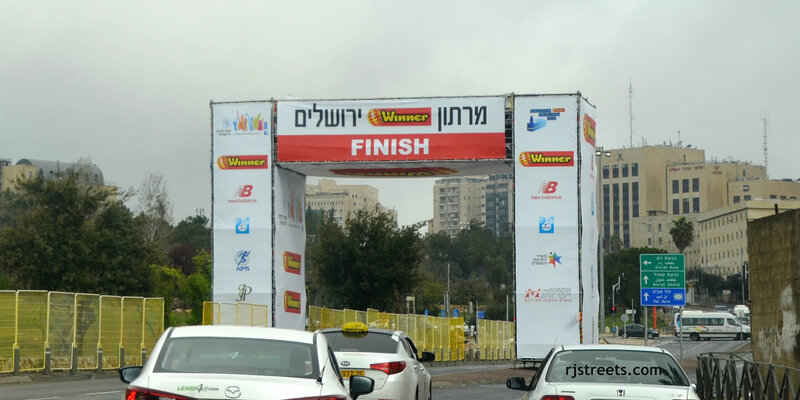 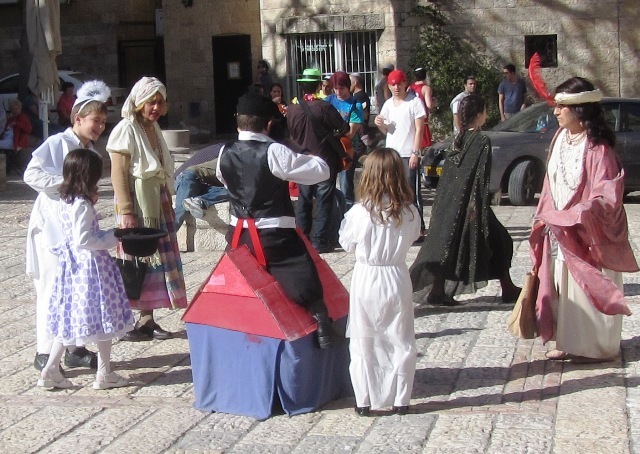 Purim, Purim and still Purim? 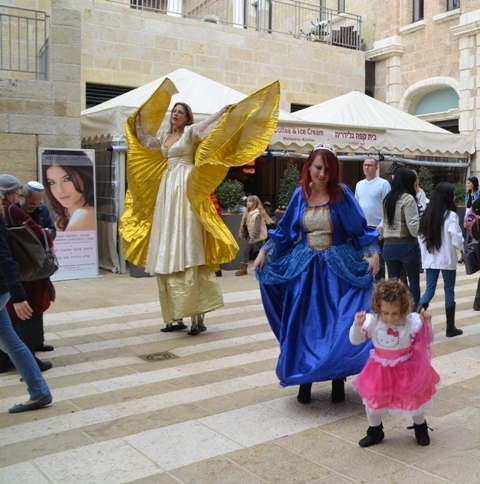 as spreading out the celebration would make it less intense and less tiring. 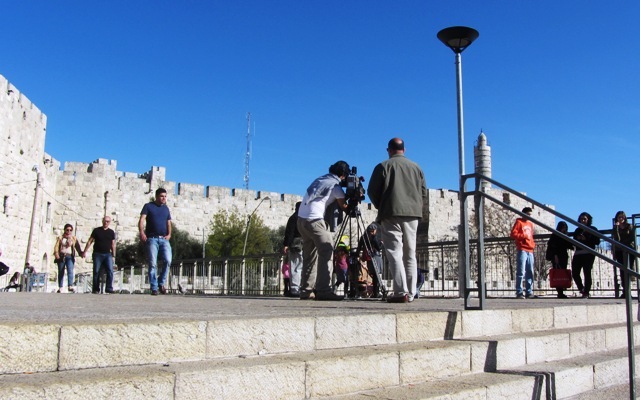 and continue well after others have ended. 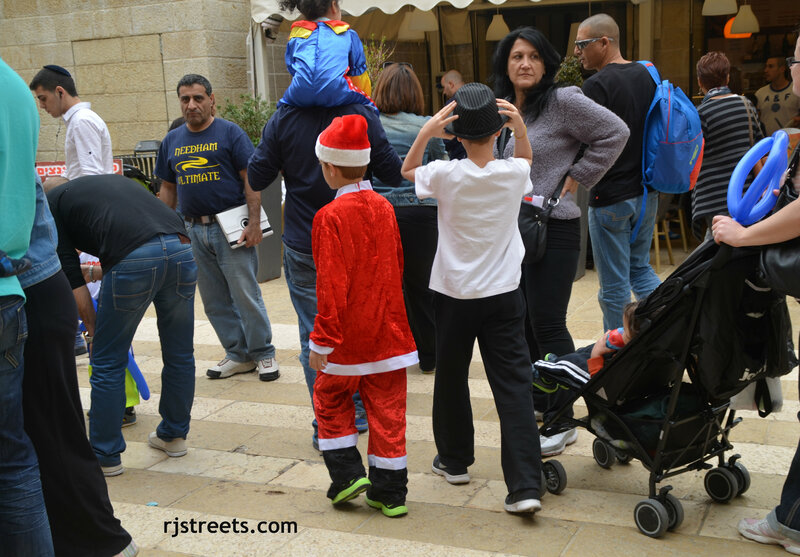 Jerusalem was still in full holiday mode. 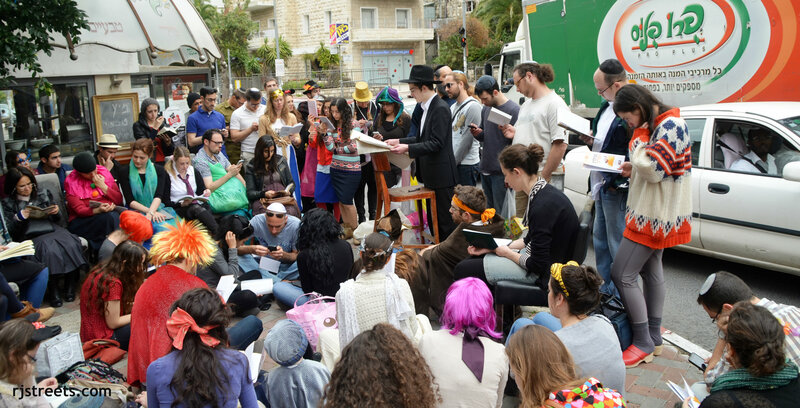 Many synagogues and Megillat Esther readings were colorful events. 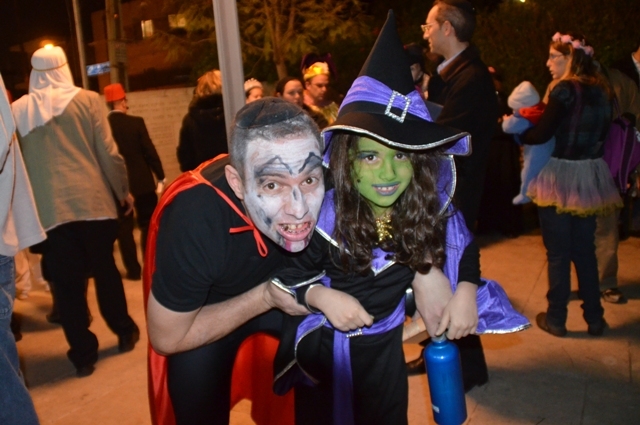 This year zombies and witches roamed the streets at night. 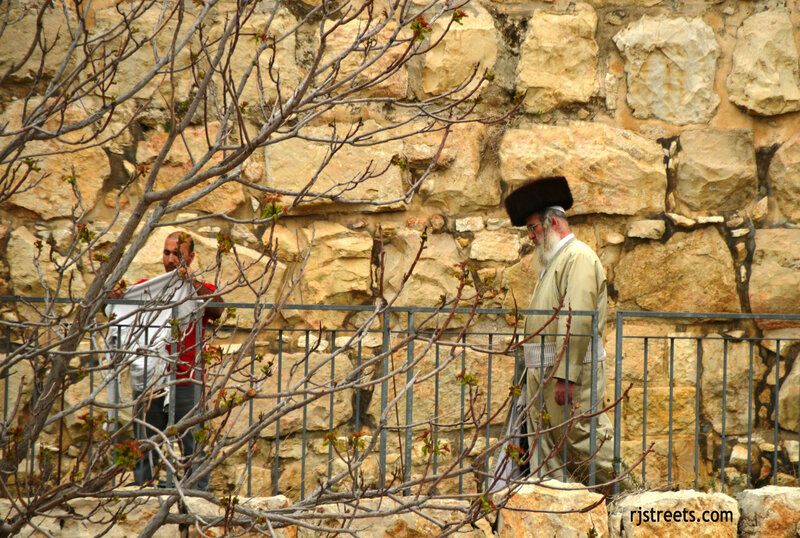 Hurva Synagogue listening to their tour guide, they were the real thing. 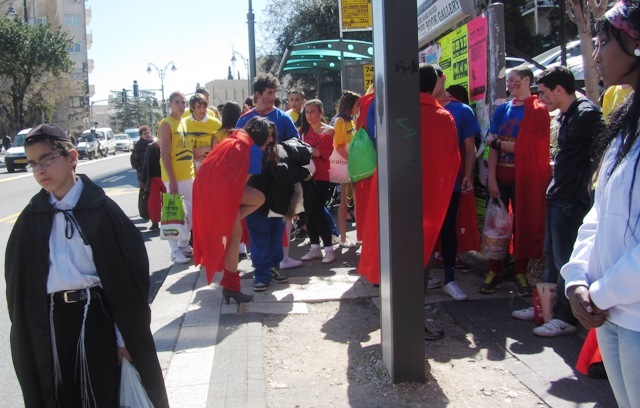 But who here is in a Purim costume? 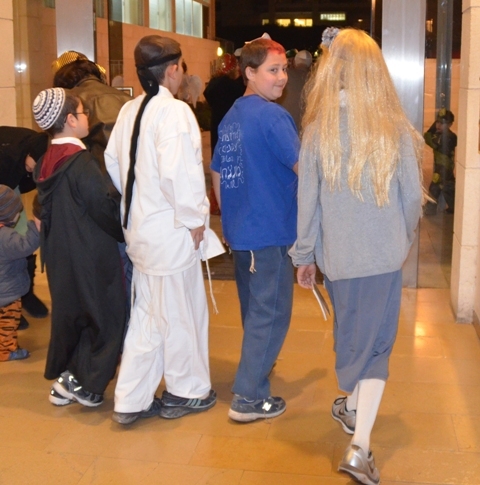 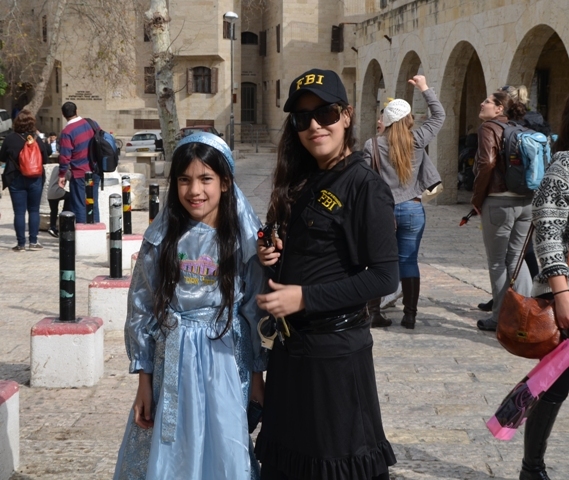 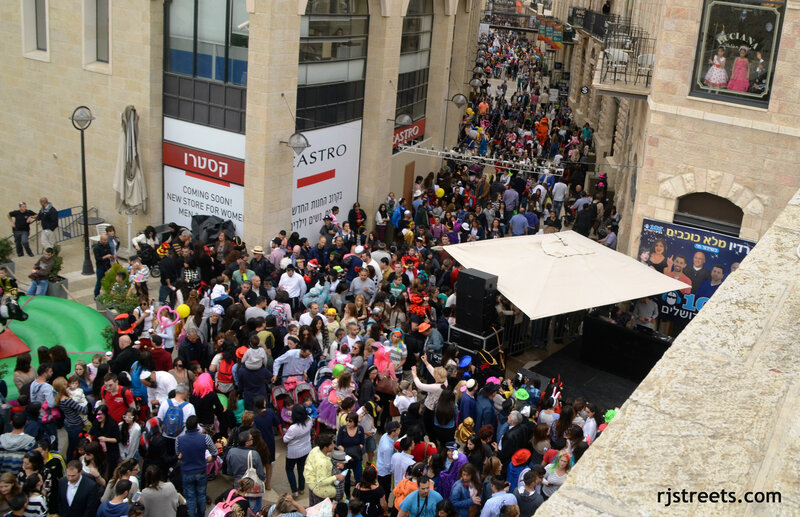 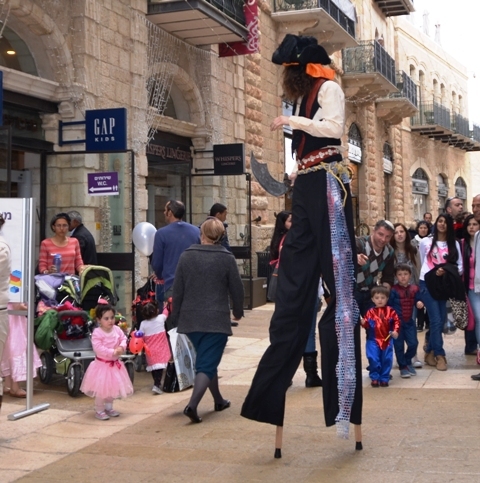 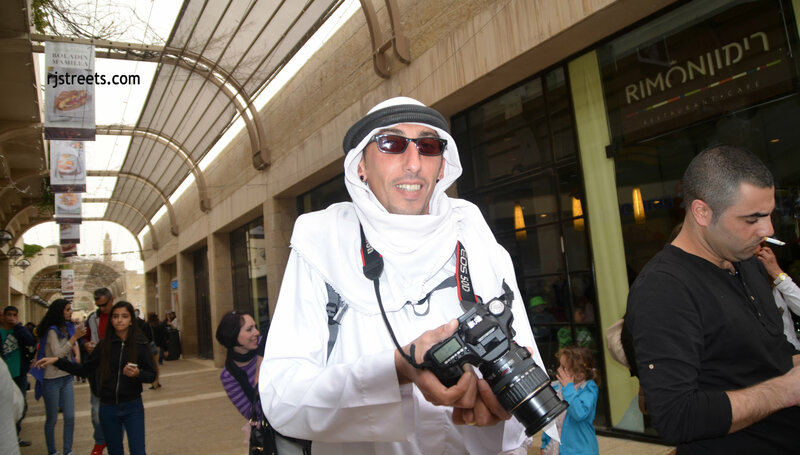 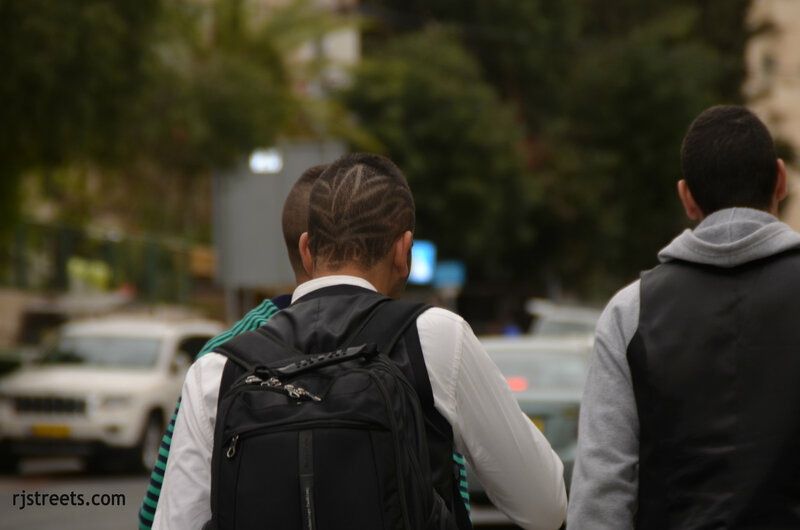 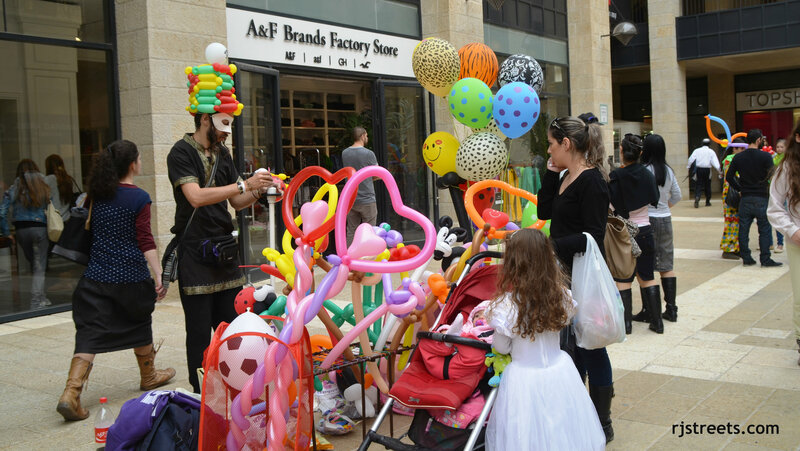 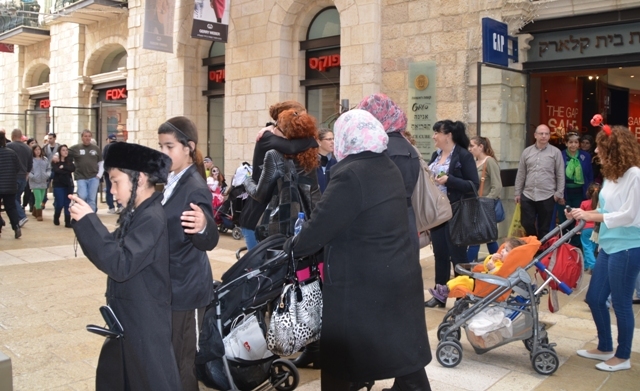 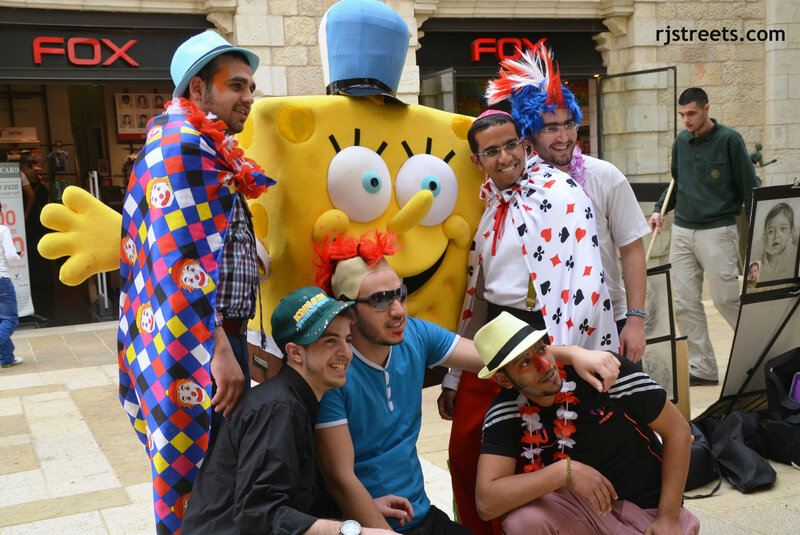 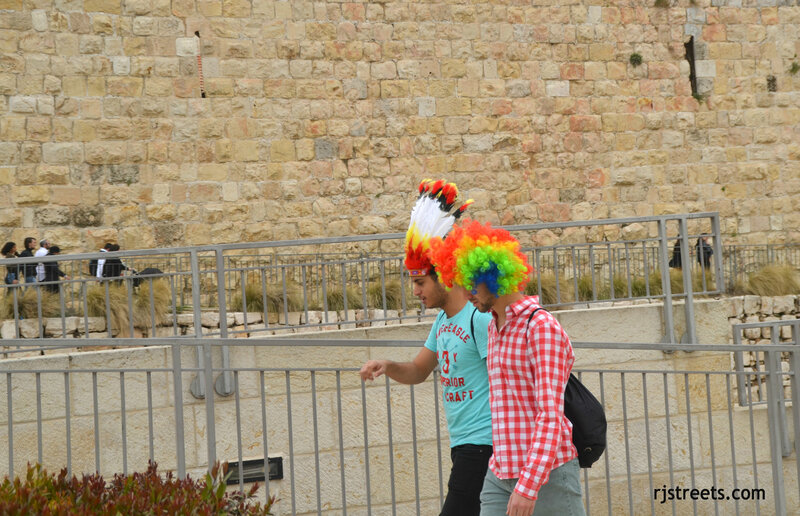 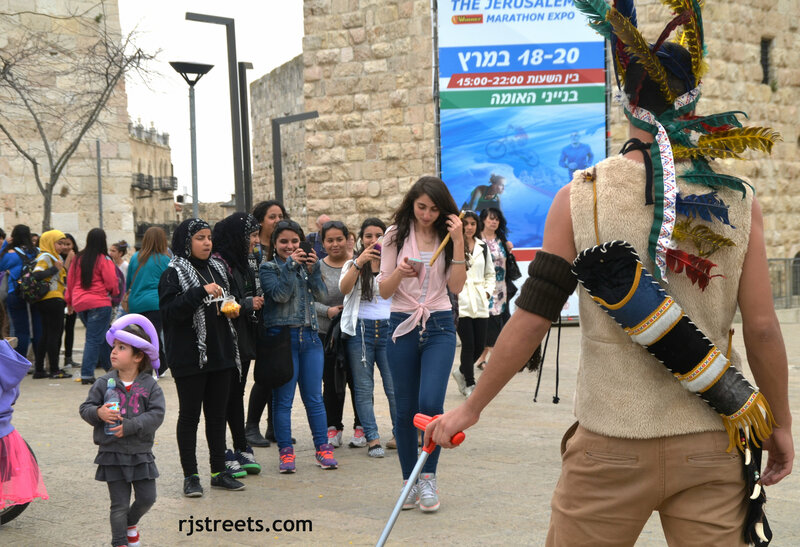 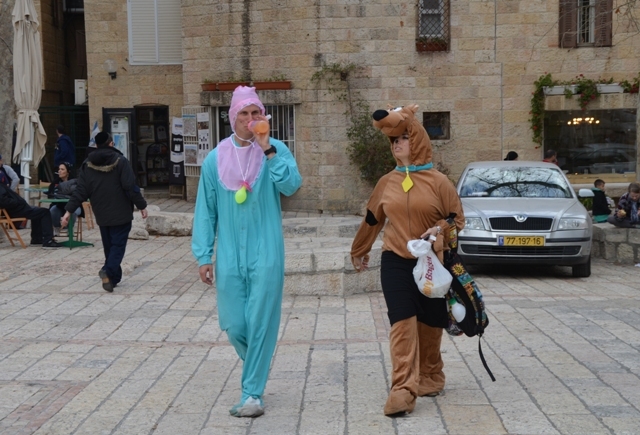 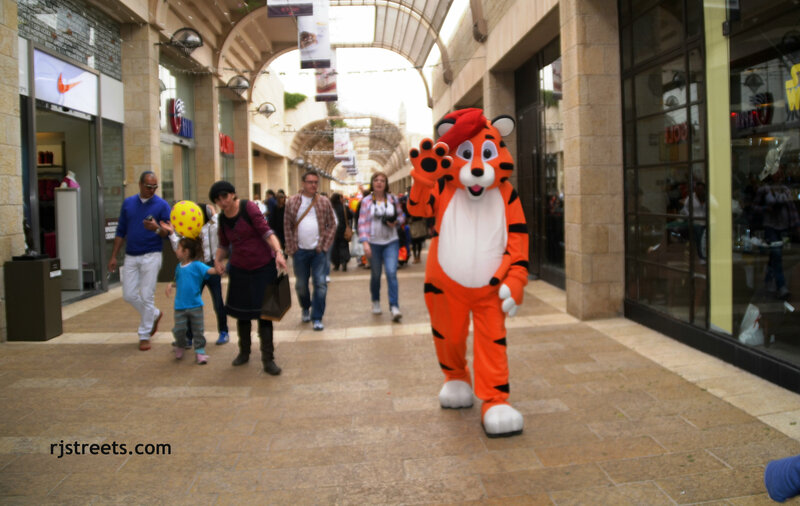 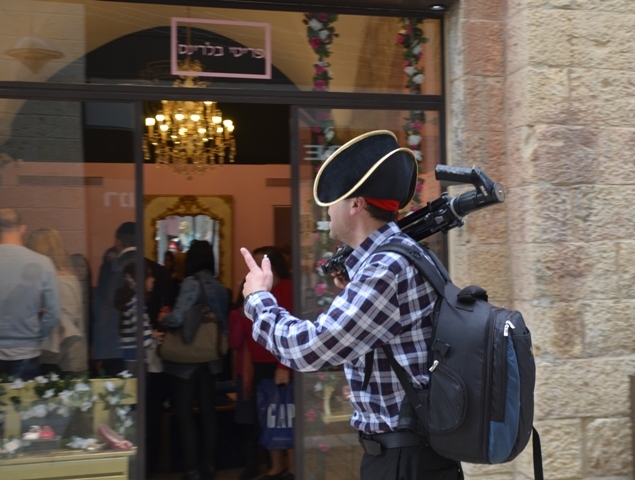 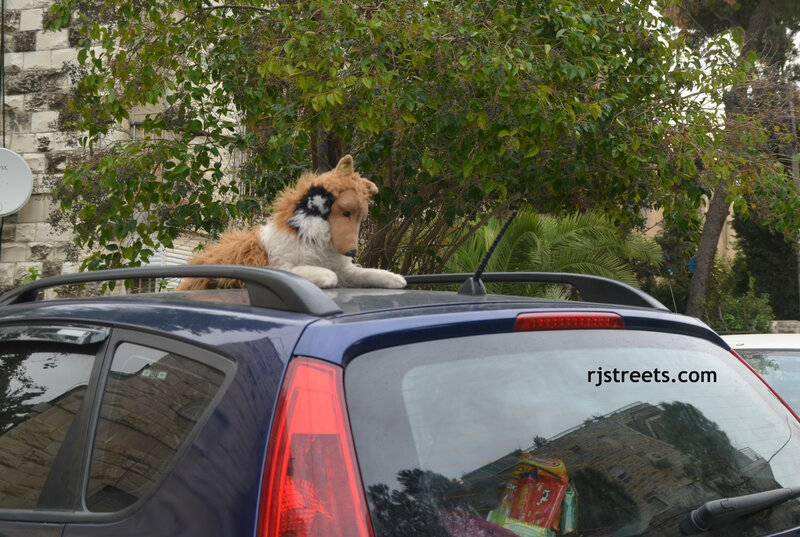 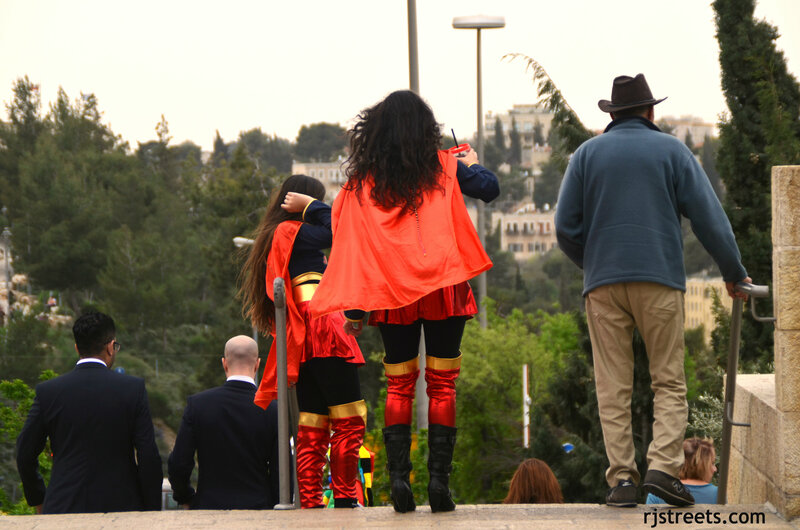 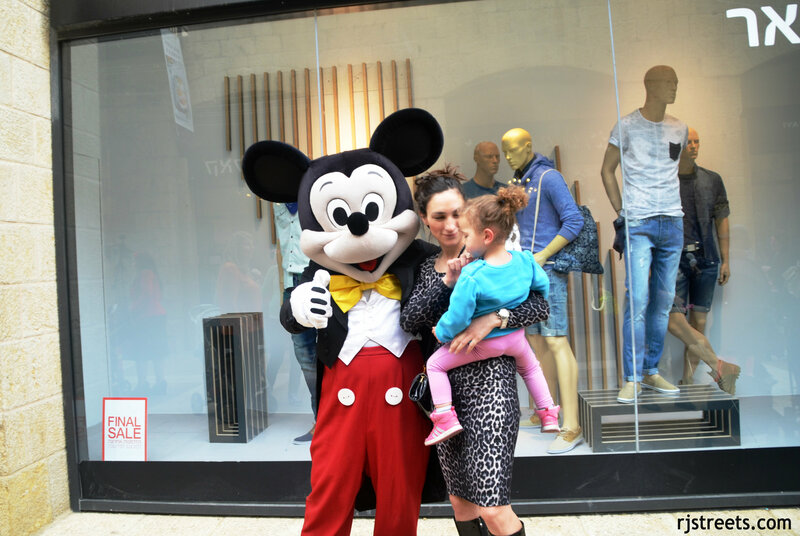 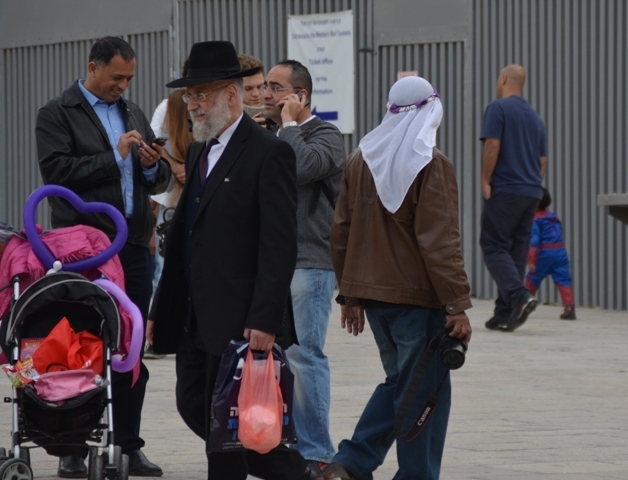 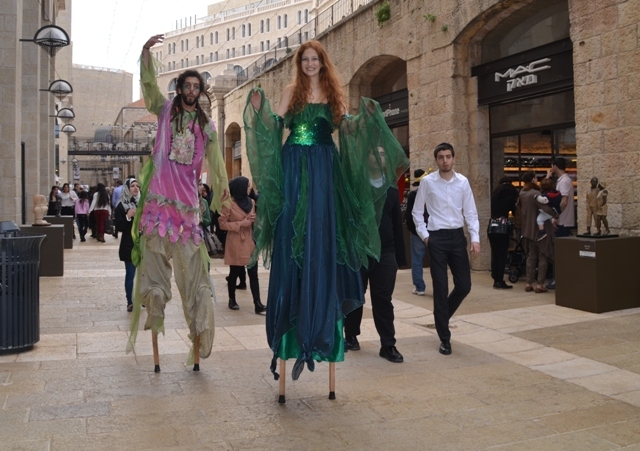 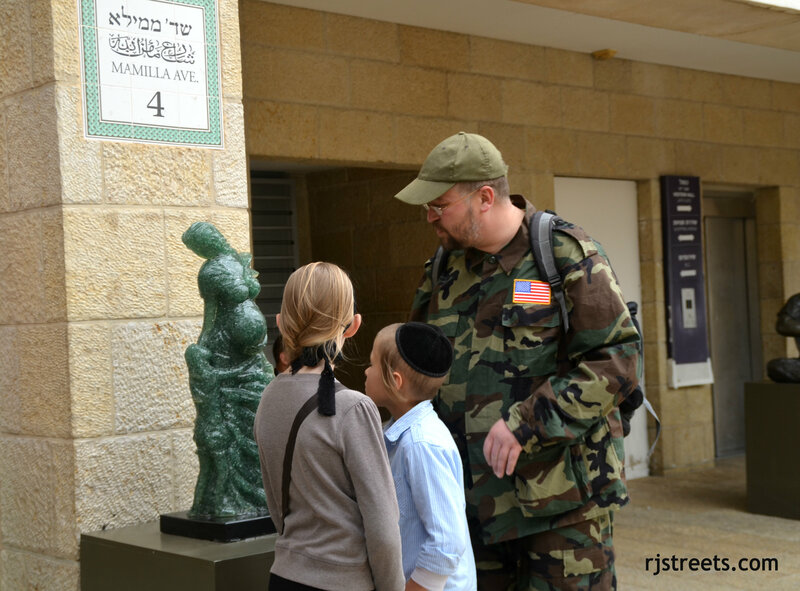 who in Jerusalem was dressing up for Purim. 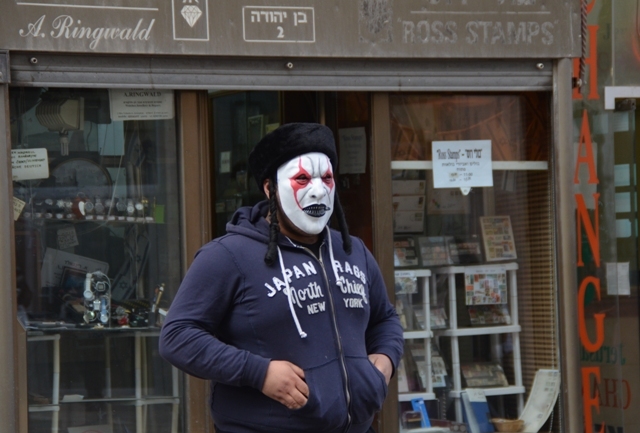 I am pretty sure this was a mask. 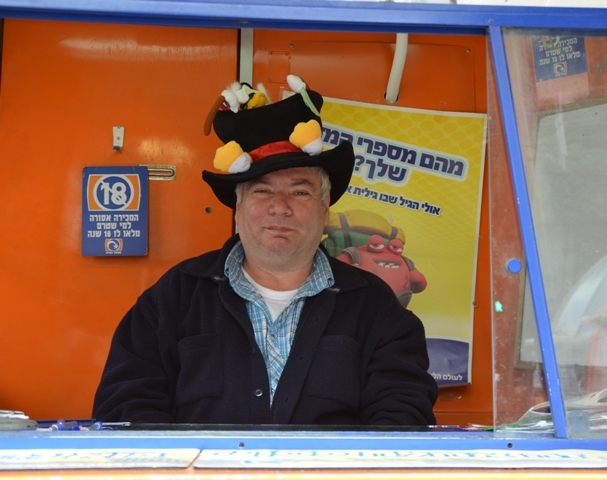 to share the festive mood. 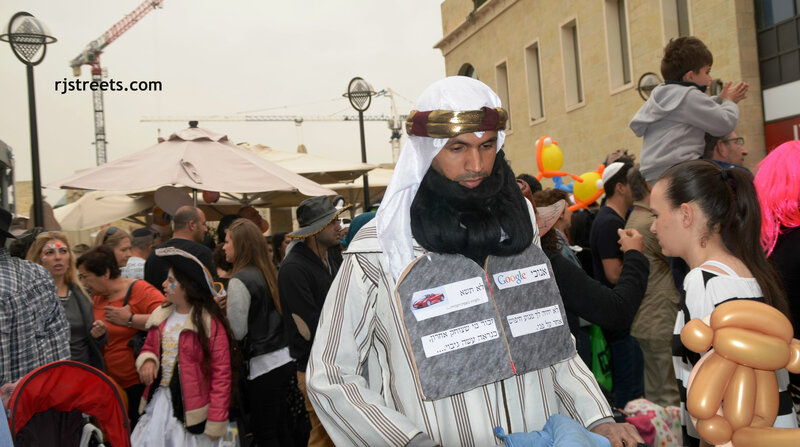 but they were not the only big people in costumes. 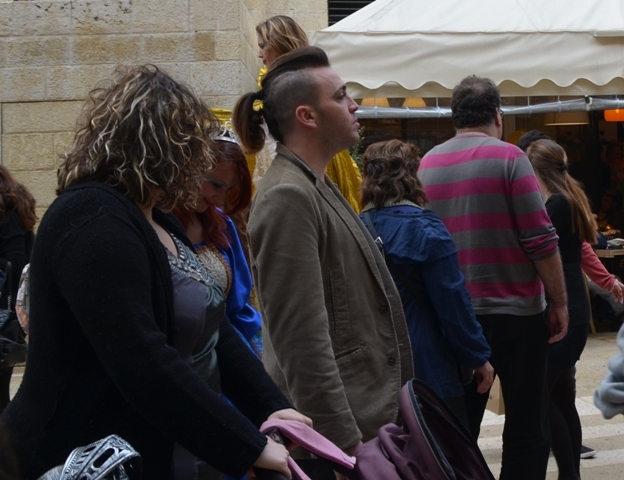 as was this hair cut. 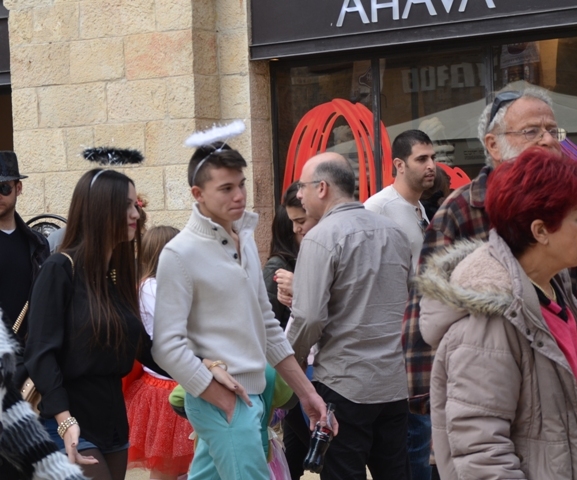 food and feasting and drinking. 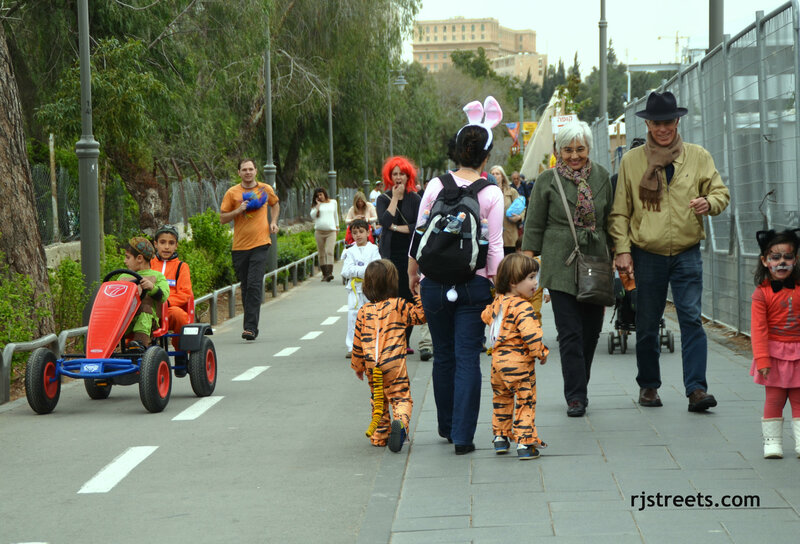 Then you can see more photos here. 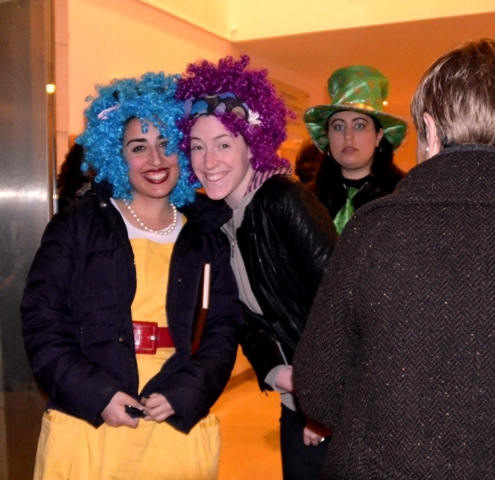 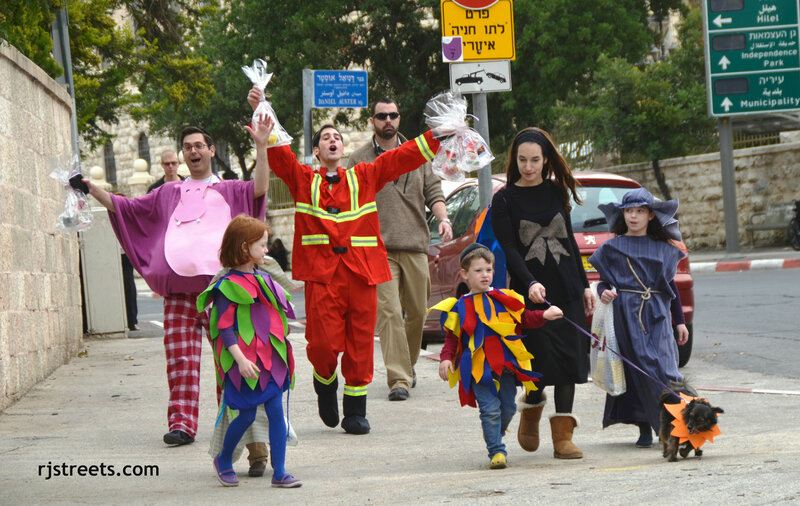 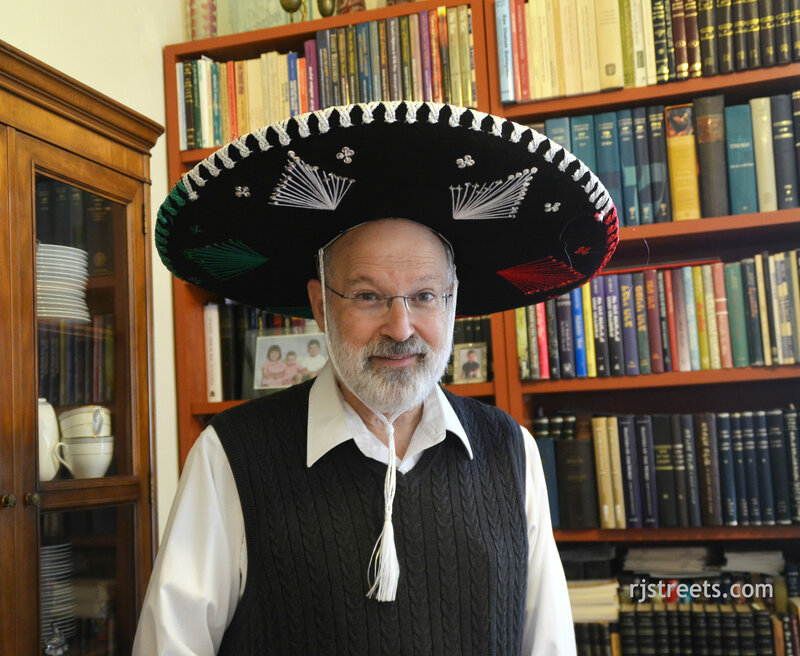 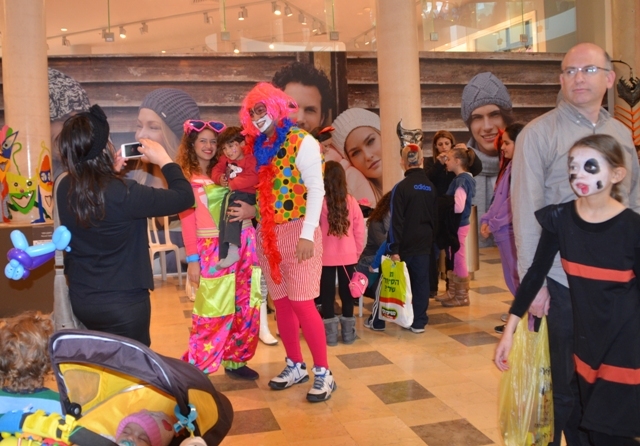 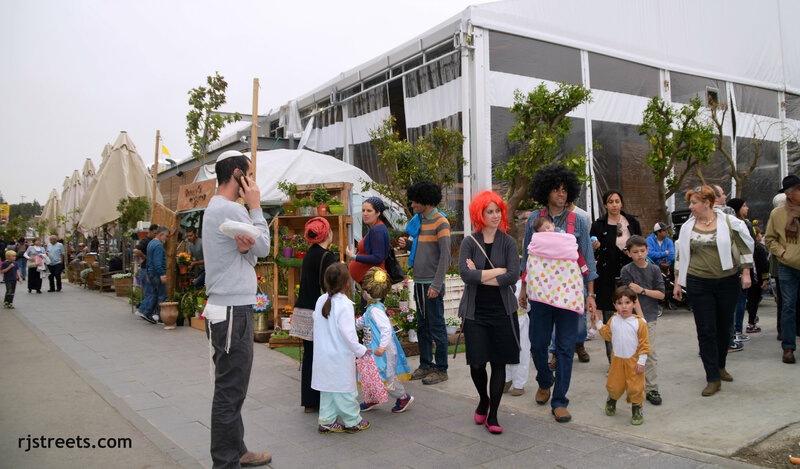 after days of dressing up and celebrating, Shushan Purim came to an end. 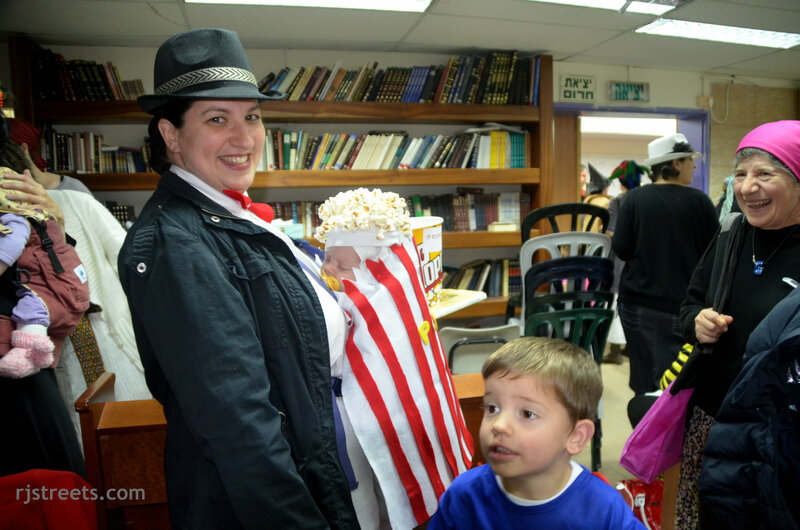 Even though Purim is over, I would like to share a few favorites. 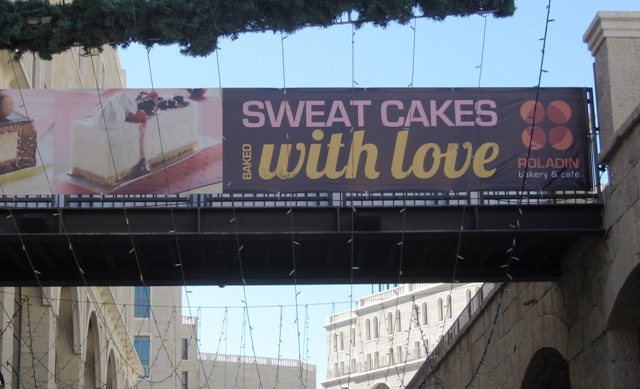 and what isn’t, but this sign in Mamilla Mall did get attention. 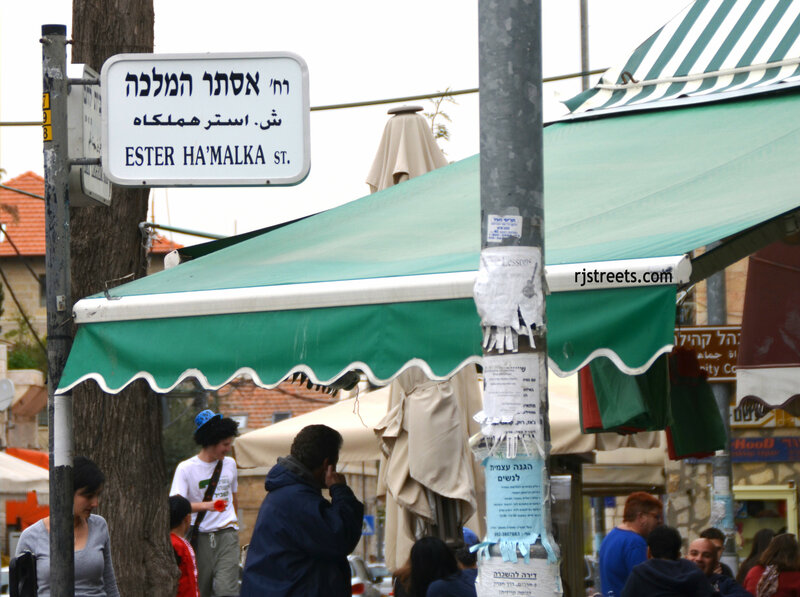 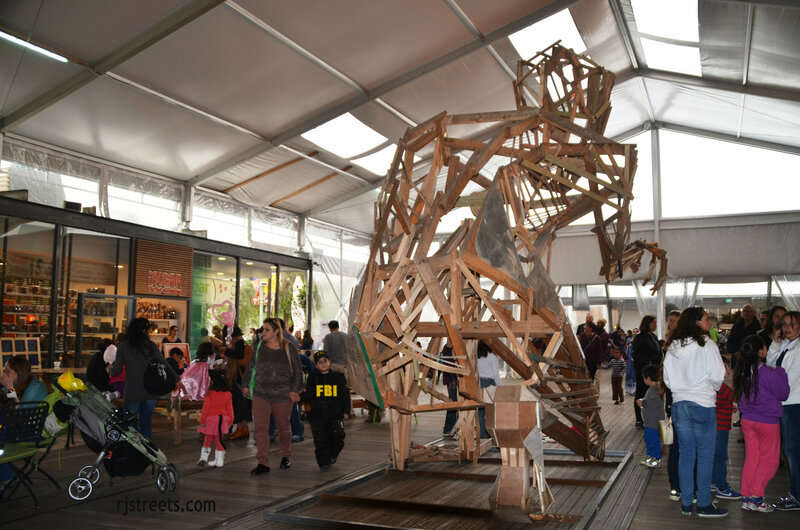 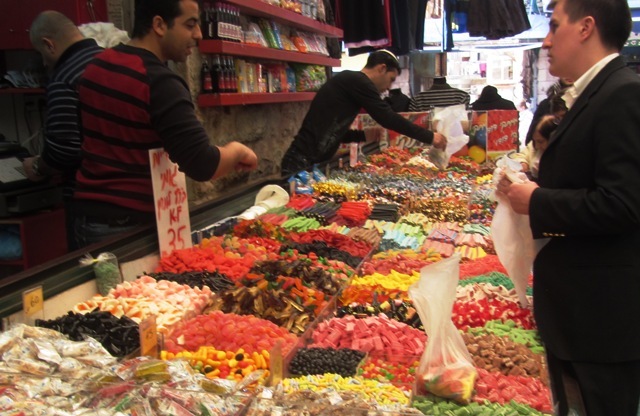 Machane Yehuda Market, the shuk, is a favorite place to get the right thing. 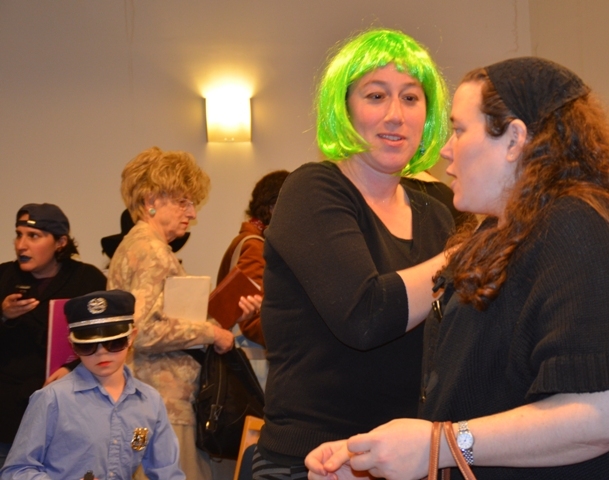 this Fiddler on the Roof costume was a favorite of the afternoon crowd. 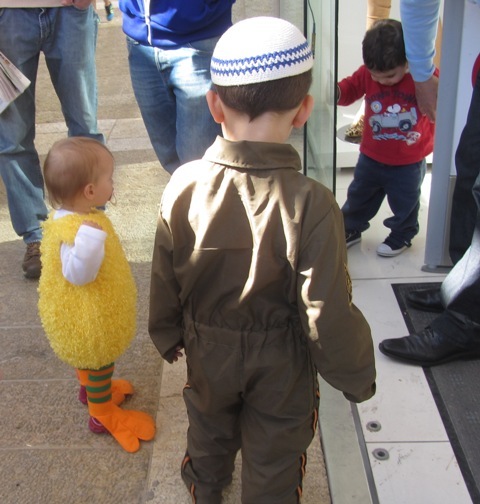 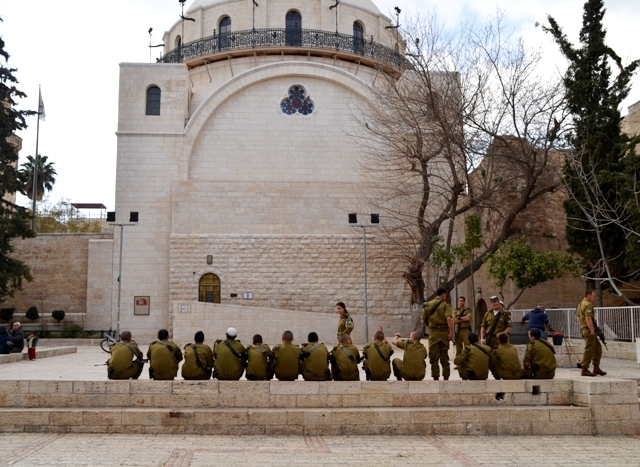 I liked the Israeli soldier carefully watching the duck. 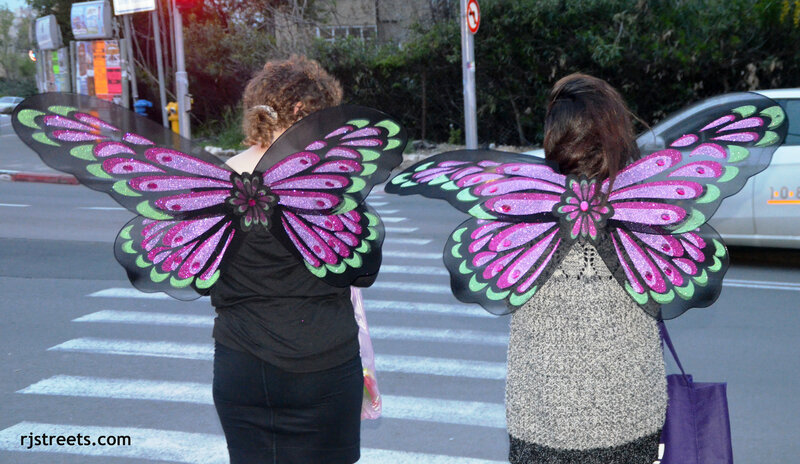 to aid young men and women who had too much to drink. 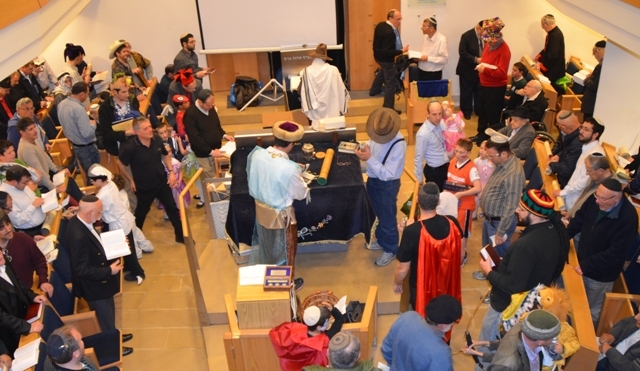 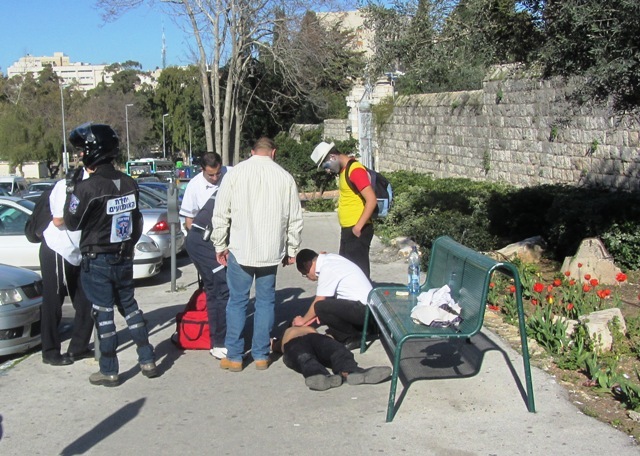 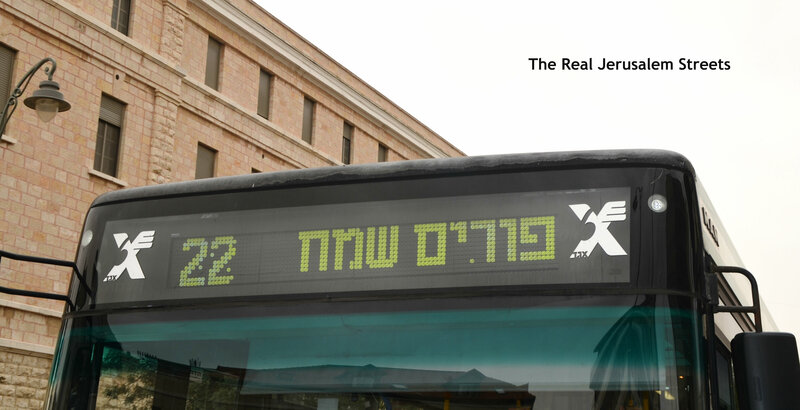 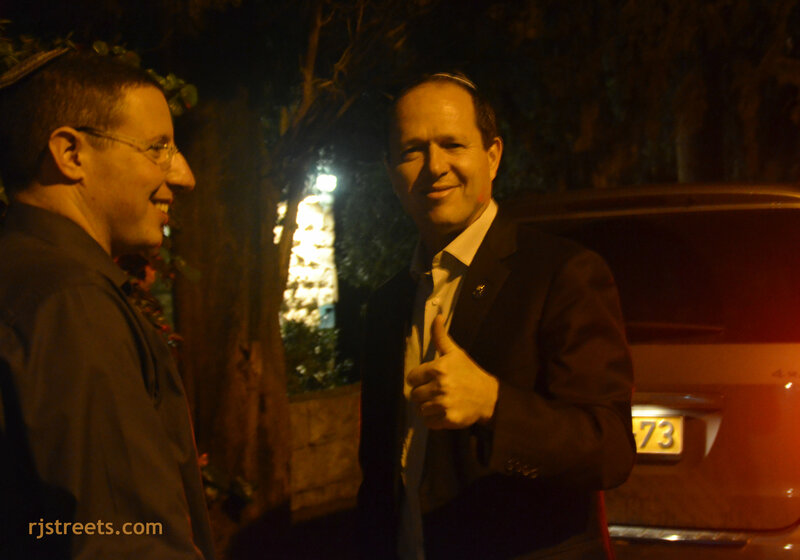 it is truly a Purim miracle that no one was killed. 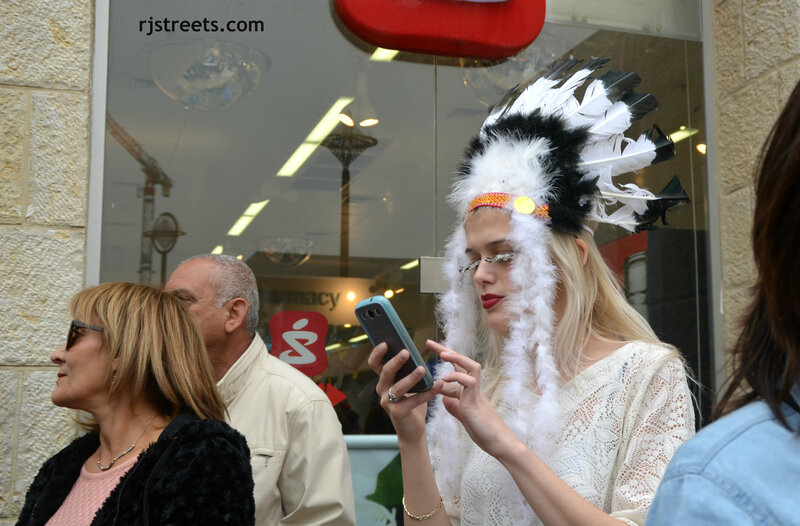 not a pretty picture with her mascara running down her face. 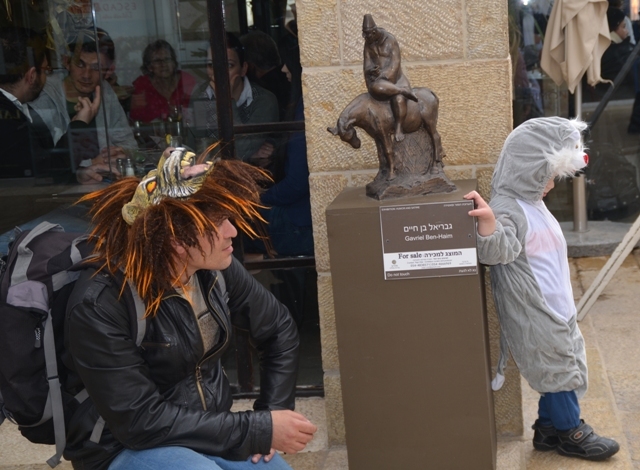 but the sights of excessive drinking were depressing. 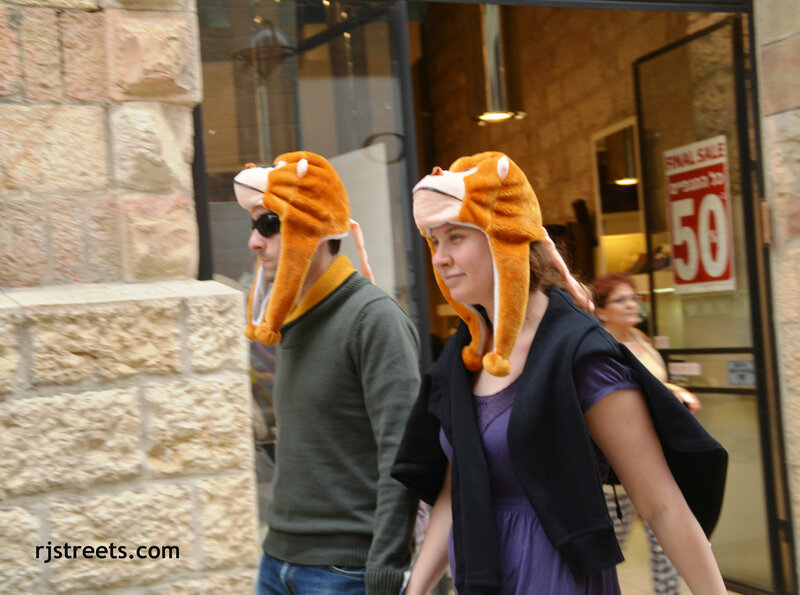 I wonder what went through the minds of unsuspecting tourists? 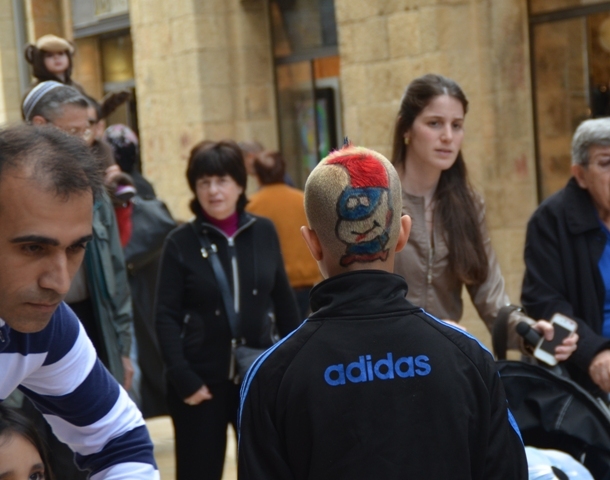 even more so when I realized that the young man is my nephew! 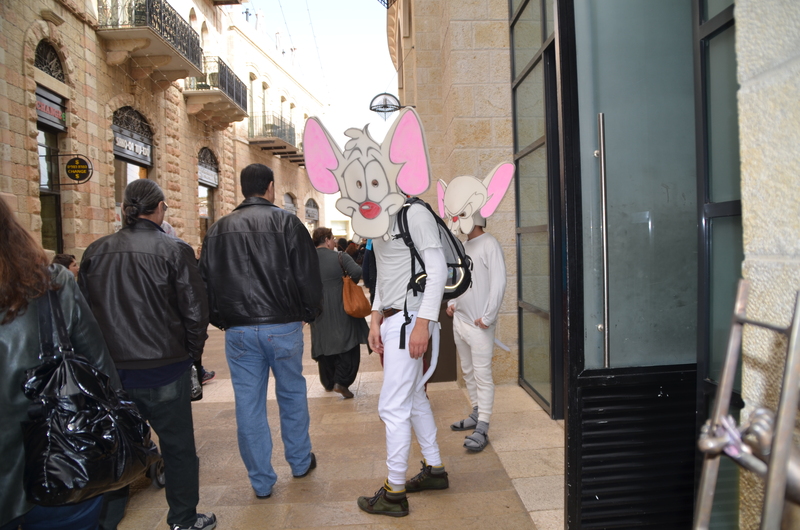 and the warm weather was great for being outside. 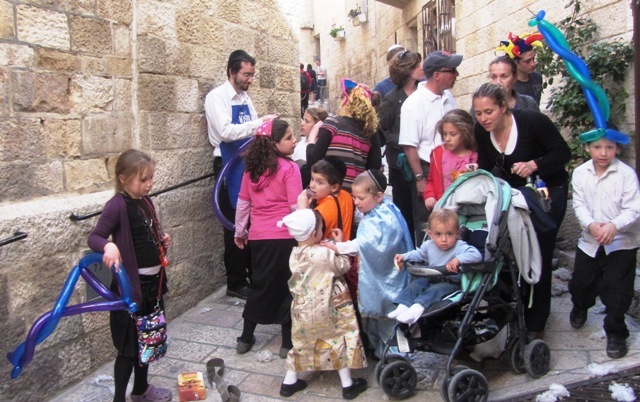 were surprised to find themselves sunburned when they got home. 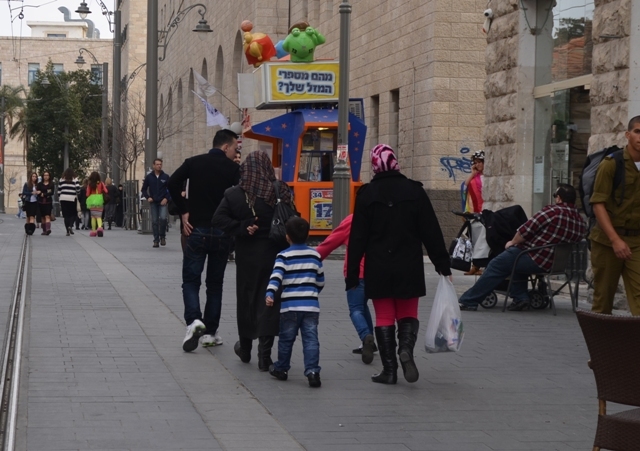 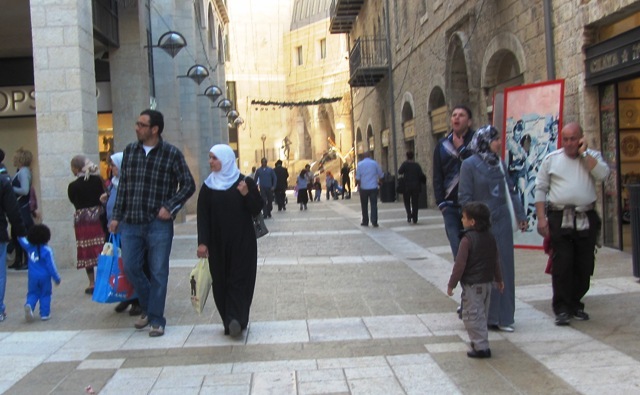 Arab families felt safe enough to shop and go for a stroll on the mall.